27 Προσελθόντες δέ τινες τῶν Σαδδουκαίων, οἱ [ἀντι] λέγοντες ἀνάστασιν μὴ εἶναι, ἐπηρώτησαν αὐτὸν 28 λέγοντες, Διδάσκαλε, Μωϋσῆς ἔγραψεν ἡμῖν, ἐάν τινος ἀδελφὸς ἀποθάνῃ ἔχων γυναῖκα, καὶ οὗτος ἄτεκνος ᾖ, ἵνα λάβῃ ὁ ἀδελφὸς αὐτοῦ τὴν γυναῖκα καὶ ἐξαναστήσῃ σπέρμα τῷ ἀδελφῷ αὐτοῦ. 29 ἑπτὰ οὖν ἀδελφοὶ ἦσαν: καὶ ὁ πρῶτος λαβὼν γυναῖκα ἀπέθανεν ἄτεκνος: 30 καὶ ὁ δεύτερος 31 καὶ ὁ τρίτος ἔλαβεν αὐτήν, ὡσαύτως δὲ καὶ οἱ ἑπτὰ οὐ κατέλιπον τέκνα καὶ ἀπέθανον. 32 ὕστερον καὶ ἡ γυνὴ ἀπέθανεν. 33 ἡ γυνὴ οὖν ἐν τῇ ἀναστάσει τίνος αὐτῶν γίνεται γυνή; οἱ γὰρ ἑπτὰ ἔσχον αὐτὴν γυναῖκα. 34 καὶ εἶπεν αὐτοῖς ὁ Ἰησοῦς, Οἱ υἱοὶ τοῦ αἰῶνος τούτου γαμοῦσιν καὶ γαμίσκονται, 35 οἱ δὲ καταξιωθέντες τοῦ αἰῶνος ἐκείνου τυχεῖν καὶ τῆς ἀναστάσεως τῆς ἐκ νεκρῶν οὔτε γαμοῦσιν οὔτε γαμίζονται: 36 οὐδὲ γὰρ ἀποθανεῖν ἔτι δύνανται, ἰσάγγελοι γάρ εἰσιν, καὶ υἱοί εἰσιν θεοῦ, τῆς ἀναστάσεως υἱοὶ ὄντες. 37 ὅτι δὲ ἐγείρονται οἱ νεκροὶ καὶ Μωϋσῆς ἐμήνυσεν ἐπὶ τῆς βάτου, ὡς λέγει κύριον τὸν θεὸν Ἀβραὰμ καὶ θεὸν Ἰσαὰκ καὶ θεὸν Ἰακώβ: 38 θεὸς δὲ οὐκ ἔστιν νεκρῶν ἀλλὰ ζώντων, πάντες γὰρ αὐτῷ ζῶσιν. This is the Gospel reading in the Revised Common Lectionary for the Sunday after next, the Third Sunday before Advent [Sunday 6 November 2016]. There is an old Hollywood musical, Seven Brides for Seven Brothers, starring Jane Powell and Howard Keel; there are any superstitions about the seventh son of a seventh son; I also know a restaurant in the old Venetian harbour in Rethymnon in Crete called ‘The Seven Brothers’ (Τα Επτά Αδέρφια). But this reading about seven brothers and one bride is primarily a story about questions about the resurrection (for parallel readings see also Matthew 22: 23-33; Mark 12: 18-27). How does this relate to the approaching Advent theme? 1, Where do the events in this Gospel reading take place? Last week (Luke 19: 1-10), we were in Jericho, where Christ dined with Zacchaeus. I spoke of how the pace of Saint Luke’s narrative was now being geared up, for Christ is on his way from Jericho to Jerusalem. We are being built up to anticipate the climax of the Gospel. By this week, we are in Jerusalem. The closing verses of the chapter before this reading, which have been skipped over in the allocation of lectionary readings, tell us that by now Christ is teaching in the Temple every day (Luke 19: 47), and that the religious and secular authorities – the chief priests, the scribes and the leaders of the people – ‘kept looking for a way to kill him, but they did not find anything they could do …’ (Luke 19: 47-48). 2, Could you make connections with the widow who plays a prominent part at the beginning of the next chapter (Luke 21: 1-7)? Does it matter to this widow or to Christ who she was married to? Are those who are widowed easy prey? Surely this is not how they are to be seen in the Kingdom of God? Verse 27: The chief priests and the Temple leadership were mainly Sadducees, who regarded only the first five books of the Old Testament, the Pentateuch, as authoritative Scripture. Not finding any mention of life after death in these books, they rejected its existence. The apostles had a similar encounter with the Sadducees when they were preaching the Resurrection (see also Acts 4: 1-4), as did the Apostle Paul when he faced the council (see 23: 6-10). Verses 28-33: The Sadducees, in an effort to trap Christ into speaking against the Law, ask him a question about levirate marriage. This is not about the marriage of Levites, but comes from the Latin word levir, meaning a brother-in-law. There was a sense in which a man was seen to live on in his son. So, if a man died without sons and heirs, his brother was required to marry his widow and give her a son, thus continuing the family line (See Deuteronomy 25: 5-10; see also Genesis 38: 8). Verses 34-36: Luke makes the same point as Matthew and Mark, but in somewhat different language: human relations in the home do not exist in the same way beyond death. Christ distinguishes two ages and kinds of existence. Mortals are part of this age by the fact of physical birth, and of the age to come by resurrection verse 36; Romans 1: 4). Verse 34: ‘This age’ (verse 34) is the current era; ‘that age’ (verses 35-36) is the era to come, when Christ returns. In God’s kingdom, marriage will no longer exist. Those who are admitted into eternal life for their faith (‘considered worthy of a place...,’ verse 35) will all be ‘children of God’ (verse 36). This will be their family relationship. They will be immortal (‘cannot die anymore’) and will be like ‘angels,’ who, in the time of Christ, were considered to be sexless. Verses 37-38: Christ argues for life after death, and for the resurrection, from the Pentateuch, the very five books to which the Sadducees limited their understanding of what is Scripture. In the story of the Burning Bush, God tells Moses: ‘I am the God of your father, the God of Abraham …’ (see Exodus 3: 6). Because God says is (not was), Abraham is alive now. He died, so he must have been brought back to life, resurrected. God is truly ‘God … of the living’ (verse 38). God is not frustrated by physical death (verse 38). Haggai 1: 15b to 2: 9 – this too is a pre-Advent reading, with the promise of God’s future plans for heaven and earth being fulfilled. However, those who are using the paired readings will find the Old Testament reading (Job 19: 23-27a) makes more obvious connections with the Gospel reading: ‘For I know that my Redeemer lives, and that at the last he will stand upon the earth’ (verse 25). II Thessalonians 2: 1-5, 13-17 – talks about eternal comfort and good hope (verse 17). Verse 39: Some scribes, who are believers in resurrection, are pleased with Jesus’ argument. Verse 40 says that the Sadducees ‘no longer dared to ask him [Christ] another question.’ Christ has evaded the trap that was set for him. What does this say about how we should deal with those who question and challenge the Christian faith? 3, The Gospel reading for the following Sunday (the Second Sunday before Advent, 13 November) is Luke 21: 5-19. Pointing out that the reading we have been looking at is located in the Temple may prepare people for the next Sunday’s reading. 4, Can you think of other Gospel parallels? How about the story of the Samaritan woman at the well? How does this reading compare with those stories in which Jesus uses the wedding banquet as an illustration of the Kingdom of God? 1, Death and November: How would you approach this reading in the context of next month, November, which is often associated with remembering the dead, including All Saints’ Day (1 November), All Souls’ Day (2 November), Remembrance Day (11 November) and Remembrance Sunday (13 November)? 2, What response to this reading might you expect from people in your parish who are widowed, or in difficult or broken marriages, or people who have never married? How would that shape and influence any sermon you write? (Revd Canon Professor) Patrick Comerford is Lecturer in Anglicanism, Liturgy and Church History, the Church of Ireland Theological Institute. These notes were prepared for a Bible study in a tutorial group with MTh students on 26 October 2016. After having your own book published or contributing to a new book, the next best pleasure for a writer to have your work acknowledged and praised in a book by another writer you both respect and admire. Joss Musgrove Knibb, who lives in the Vicars Close by Lichfield Cathedral, is both a journalist and an historian, and has actively encouraged and helped the work of local historians in Lichfield. A few years ago [12 May 2014], when I led a walking tour of the Cathedral Close on the invitation of Kate Gomez and the local history group, Lichfield Lore, Joss was supportive of the way I tried to assemble the story of each house and building in the Close and the stories of their residents. 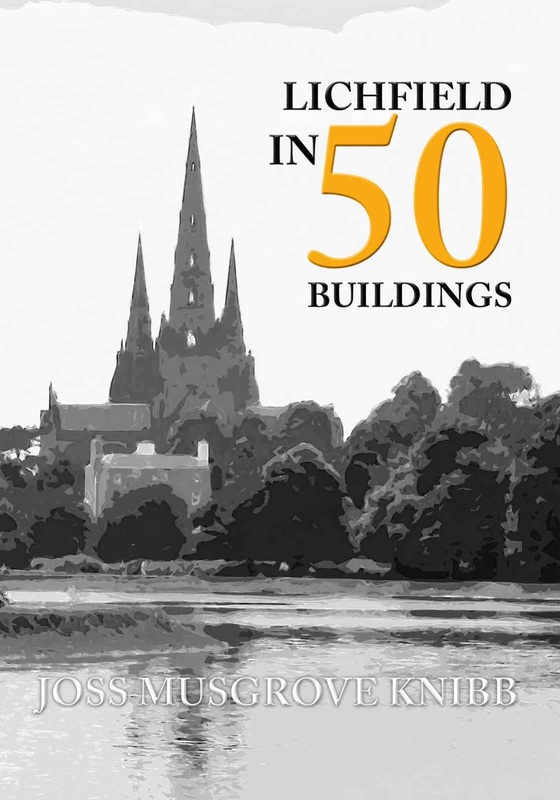 Her new book, Lichfield in 50 Buildings, published within the last fortnight [15 October 2016] arrived in the post this week. Ever since, I have been engrossed in her exploration of the history of this rich and vibrant community with her selection of its greatest architectural treasures. Appropriately, she begins with the legend of the massacre of 999 Christian martyrs by the Romans in the year 300, and ends with a visit to Letocetum, the Roman site at Wall, 1.5 miles south of Lichfield. The stories of both are mistakenly identified with the name of Lichfield, but with a gentle flair she lays these legends to rest. Instead, she takes us through the history of Lichfield by taking us on a walking tour, carefully selecting 50 buildings that tell the story of the cathedral city. Lichfield has a proud and distinctive identity that stretches from the late seventh century, when Saint Chad wandered into a watery valley in the heart of the Kingdom of Mercia, to the Black Death, the English Civil War and the days of the Enlightenment, when Lichfield was home to great minds such as Samuel Johnson and Erasmus Darwin. This story is embodied in the buildings that have shaped the city and have become true architectural treasures. From its 1,300-year-old cathedral, the impressive Guildhall to the modernist Garrick Theatre, they tell the and celebrate the story of Lichfield, with a new and accessible way. 2, No 1 The Close and West Gate. 3, Nos 2, 3 and 4 The Close. 5, Nos 6 and 7 The Close. 7, St Chad’s Head Chapel. 8, No 10 The Close and Conduit Close. 10, No 12 The Close, St Chad’s School House. 22, St Michael on the Greenhill. 26, Samuel Johnson Birthplace Museum. 28, The Guildhall and Gaol Cells. 31, The Tudor of Lichfield. 35, Hospital of St John the Baptist without the Barrs. 37, The Friary and Bishop’s Lodging. 41, Statue of Captain John Smith. 49, St Bartholomew’s Church, Farewell. 50, Letocetum Roman Site, Wall. I suppose there is a certain literary licence in taking three and then two houses in the Close as one building, and then having separate entries for the Cathedral and Saint Chad’s Head Chapel, and for Saint Chad’s Church and Saint Chad’s Well. And it is inevitable that in a cathedral city so many of the chosen buildings should have associations with cathedral and church life. But here too are buildings associated with the great writers and brilliant minds associated with Lichfield, including Samuel Johnson, including the places where he was born, baptised and schooled and where his family members were buried, and Erasmus Darwin, the grandfather of Charles Darwin. Nor does she neglect the structures that architectural historians sometimes overlook, such as the Sandfields Pumping Station, which has been the subject of much loving attention by local historians anxious to preserve our industrial heritage. Here too is the Causeway Bridge linking Beacon Street and Bird Street, the Pinfold where Beacon Street meets Stafford Road, and the statue of Captain John Smith of the Titanic, as safely inland as you can get in England, and there are fine examples of modern architecture in Lichfield too, including Alexandra House and the Garrick Theatre. But if the Sandfields Pumping Station has been saved for the future, there are other buildings that are at immediate risk in Lichfield, and draws attention in particular to the forlorn Regal Cinema on Tamworth Street, the only surviving art deco building in Lichfield, the much-vandalised Angel Croft Hotel on Beacon Street, and the Friary and Bishop’s Lodging, which may not be accessible to the general public in future years. This book is richly illustrated with photographs by her husband, Carl Knibb, and with a complementary selection of postcards from the collection of Dave Gallagher. There are hospitals, workhouses and breweries, pubs, pumps and gaol cells, and the stories of marital scandals, snobbery and spite in the Cathedral Close. It is impossible to squeeze the story of a place so wonderful into just 50 short vignette-style entries. I know each and every one of these places intimately, some more than others, for this is one of the places I can call home. Missing for me, perhaps, are the Old Library and Museum on Beacon Street, now the city Register Office, the nearby childhood home of David Garrick, the Hedgehog on Stafford Road – if only for its connections as Lyncroft House with Mozart’s friend Muzio Clementi, Stowe House, the home of the eccentric Richard Lovell Edgeworth and his daughter the writer Maria Edgeworth, Christ Church, Leamonsley, with its Pre-Raphaelite chancel ceiling and walls, the house in Cherry Orchard where the poet Philip Larkin once lived, the Railway Bridge at Upper John Street, with its collection of Victorian heraldic plaques, and the Swan, which until it closed in the 1970s was the oldest pub in Lichfield. Joss Musgrove Knibb is a professional journalist in Lichfield, and editor of the magazines Citylife in Lichfield, and the new Citylife in Rugeley, launched earlier this month. 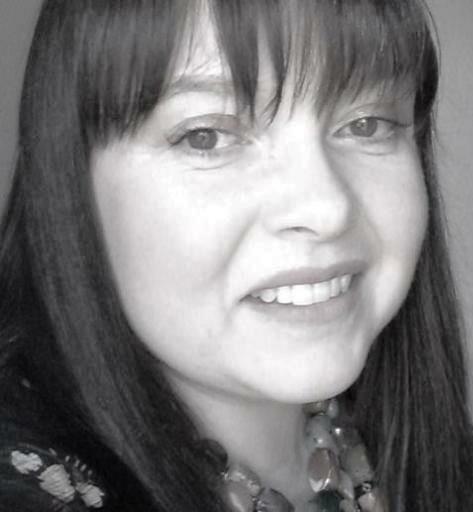 We have worked together on previous magazines, and she has contributed to the Lichfield Mercury, Staffordshire Life and the Stoke Sentinel, and has spoken at the Stoke Literary Festival. Her first book, First Lines: A Celebration of the Bravery, Humour and Resilience of Four Local Lads Who Served in the Great War, was chosen as a ‘WH Smith Recommends’ title. This is a cheerful companion to another recent delightful book, Lichfield Then & Now in Colour, by Annette Rubery (Stroud: The History Press, 2013). I can see an immediate need for a similar book about, for example, neighbouring Tamworth, with accounts of Tamworth Castle, Saint Editha’s Church, the Moat House, the Town Hall, the Spital Chapel, Guy’s Almshouses and so much more. It has been a pleasure to find myself in such good company and to read this book over and over again. It is going to be well-worn, well-thumbed and well-marked in the weeks to come as I bring it on my next walks around Lichfield. I shall have to buy myself a second copy soon to keep safe.